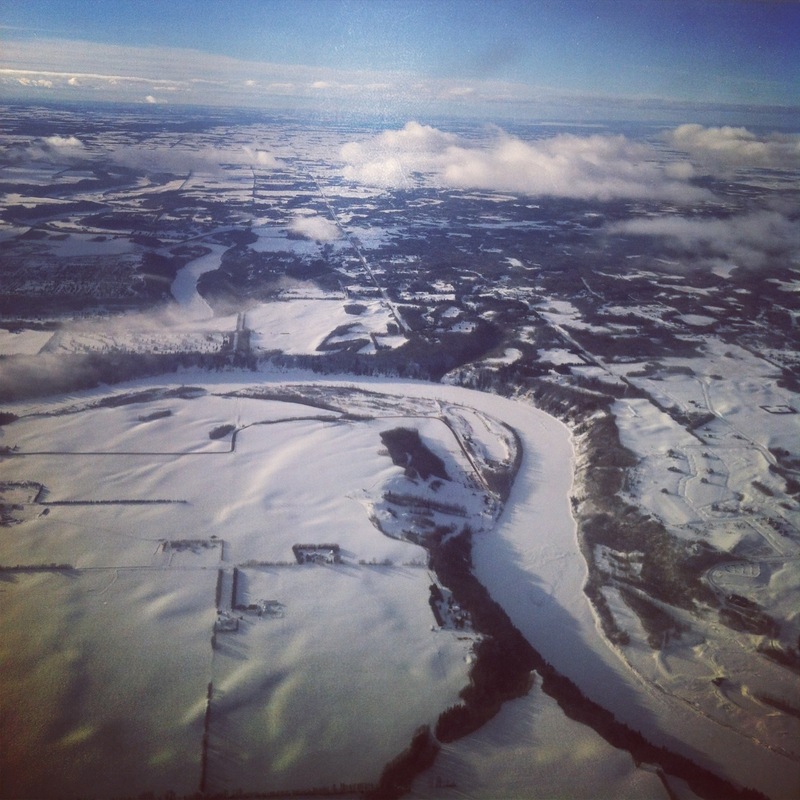 Travel Diaries: 02.01.13 – Canadian Junior Curling Championships – Fort McMurray, AB. | John Cullen. Occasionally, my job as a comedian takes me to places other than my hometown of Vancouver, BC, and occasionally, I will write about those experiences. This is one of those experiences. When I first started with Yuk Yuk’s, they asked me if I had any special talents that might be useful for future gigs. As comics, we often get asked to perform in weird places and for different types of people. I told them that I was a highly competitive curler, figuring that wouldn’t mean too much in their world. They were pleasantly surprised, saying they had lots of curling gig requests, and my status as a curler may help. 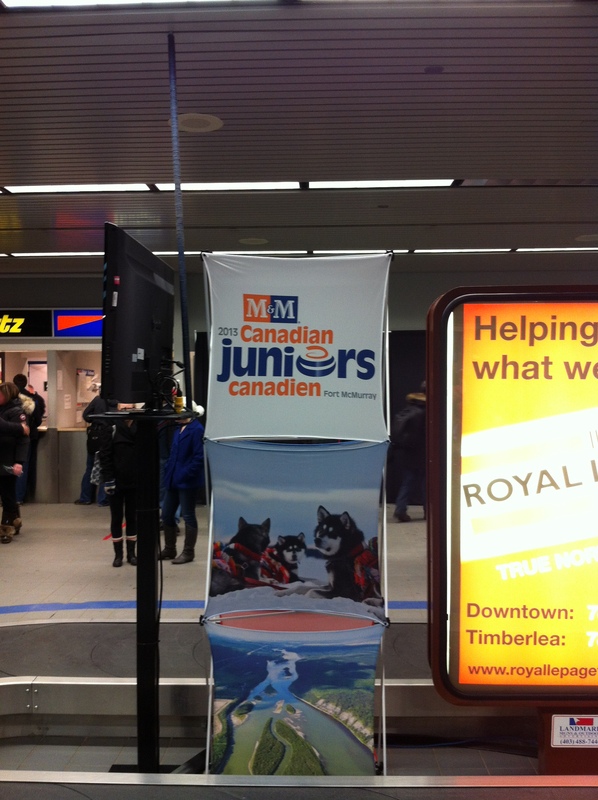 Less than a year later, I was asked to travel to Fort McMurray, Alberta, to perform at the Junior Nationals. It was humbling for me, to be asked to perform at a national event for the sport I love, but it was also a bit weird. Having dreamed of making it to a national championship for years and to date still not having done so, it was a bit strange to me to be the entertainment, but I accepted the challenge. I had never done 30 minutes of clean material before, and doing comedy for teenagers is widely accepted as the worst gig possible. It’s no offense to teenagers, it’s just that most of them haven’t developed a comic sensibility yet, and even if they have, many of them aren’t fans of stand-up. I decided to write what was essentially a brand-new 30 minutes. I figured these are curlers, and if I’m going to be a curling comic, might as well do some curling-specific material. I headed off after seeing weather reports suggesting the temperatures in Fort Mac were somewhere in the drawstring-pulling region of -45, vowing never to step foot outside. While I wasn’t fully successful, I did a pretty good job of avoiding the elements, even though I was there for a “warm front”, the temperature gods blessing me with a bearable -20. It was cool to know the city was embracing the event. I had a great cab ride into the city. I feel like small-town people are the best people, and my cab driver was no exception. He was originally from Ethiopia, and told me all about working in Fort McMurray 8 months out of the year to support his wife and 6 kids, who are all back home. He said the money he makes in 8 months in Fort Mac is enough to support his wife and children for 2 years back in Africa, including school fees, food, clean water, and shelter. Kind of crazy. I asked him why he had so many kids, and he said “in Ethiopia, it gets dark very early in the summertime, and electricity runs out and so the lights go out. Not much to do once the lights are out except have kids.” It was pretty great. It had a TV on each side, so I could choose whether I wanted to watch TV in bed or on my couch. Pretty splendid. 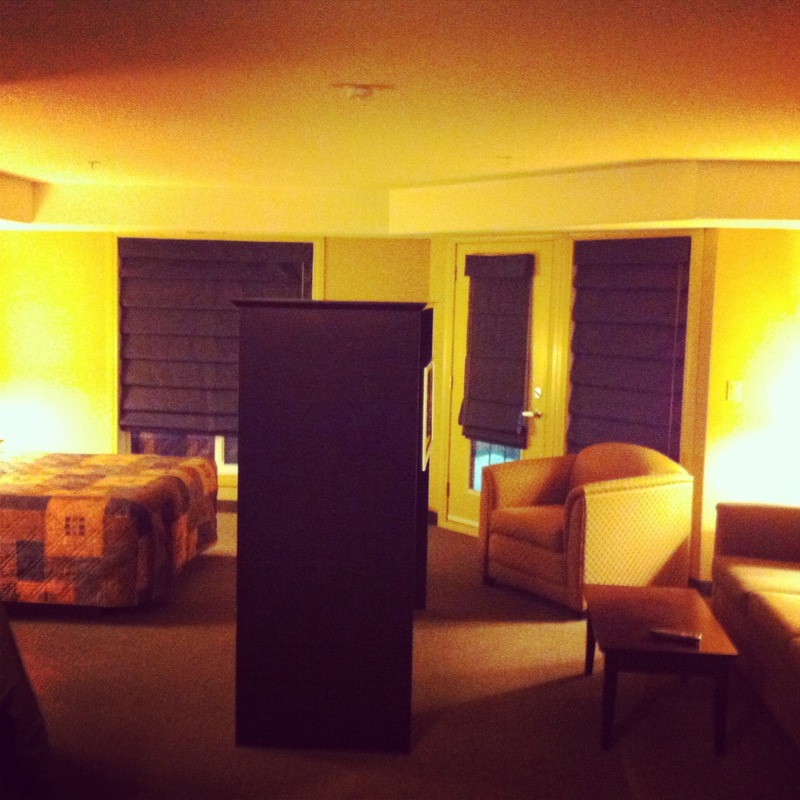 I’ve heard horror stories about being on the road and some of the places you have to stay, but it seems like these days, most places treat their comics really well, and this was no exception. 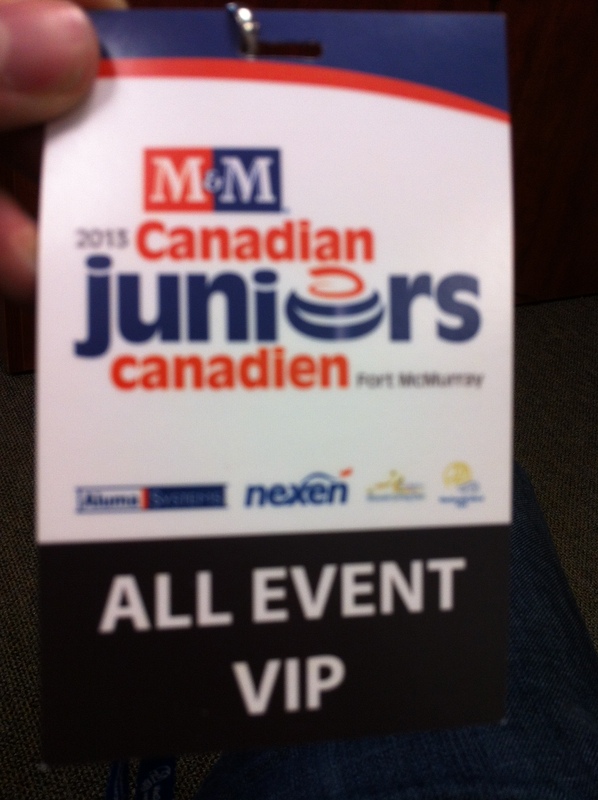 I headed down to the gig and was met with a room of about 200 curlers and parents. 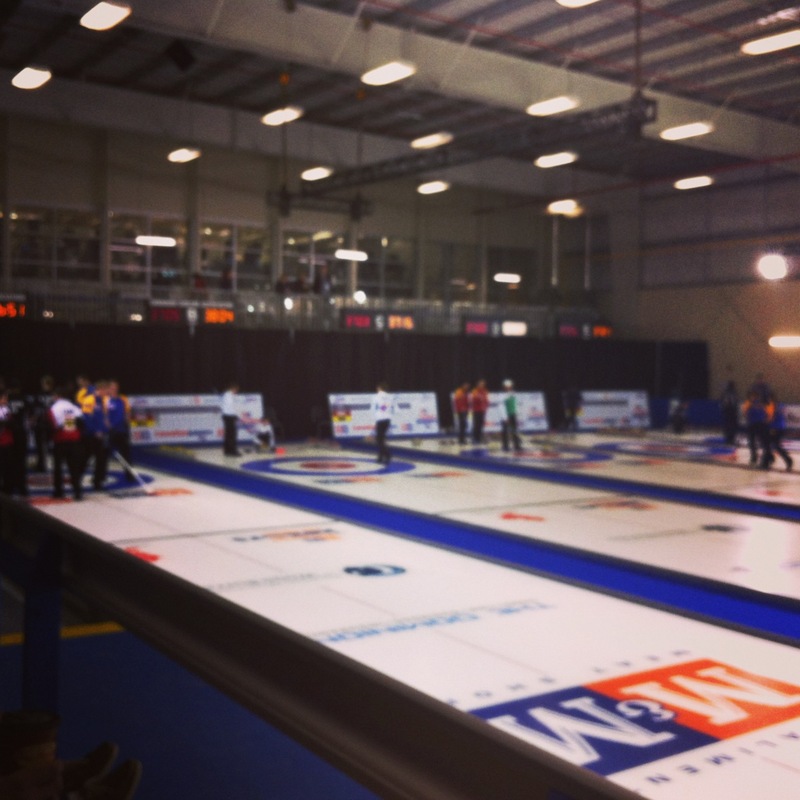 The curlers are all under-20, and it was cool seeing them all in the uniforms and ready to be entertained. I thought my set went well. I talked about how being a curler is seen by the real world, and talked to all the provinces and teams individually, having some fun along the way. I was worried about an audience that would be inattentive, with the nerves jangling around for the tournament’s opening games the next day. Instead, I found a lot of warm faces, excited to be there, to meet one another, and to enjoy good curling. It was great. I was also the co-creator of the official slogan for the week, “Pop Pop”. After referencing Northern Ontario in my act, one of the players made a gun hand signal in the air. I made fun of him using the famous “pop pop” from Community, and it stuck. Curlers began to hashtag “#PopPop” on Twitter, do the gun signal to each other, and just generally shout it out for no reason. We’ll see what I can create for the BC Men’s Provincials this week. I met a lot of very cool kids from across Canada, and I’m sure in a lot of cases, I’ll be seeing them on Tour very shortly. I was lucky enough to be able to watch some of the action the following day, with the BC girls picking up their first win, and the Nunavut teams playing their first games at a national championship. V-I-P, yeah, you know me. It’s still pretty crazy to me to get flown out to a gig, to be somewhere for only 24 hours, but it was a ton of fun and I hope this is just the first of many curling gigs to come. It was great to meet the future of curling in this province, and I hope both BC teams bring home the gold!